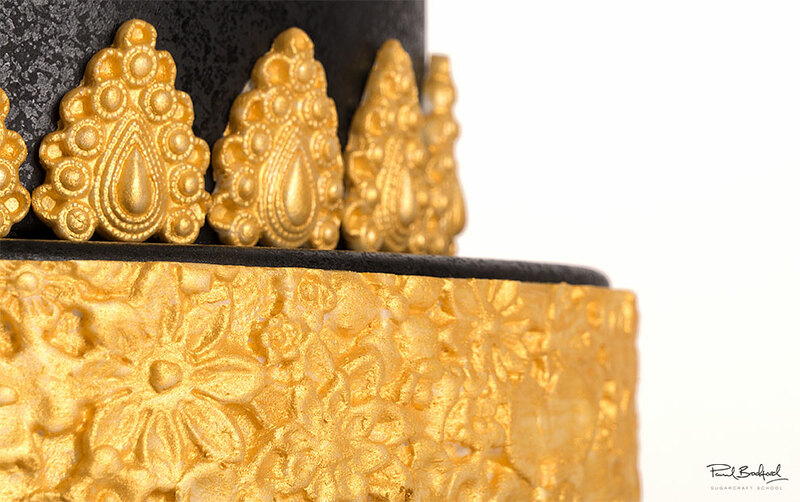 Here Paul talks us through his design, as well as his predictions for what we might see more of for wedding cakes this year. Paul has covered the larger cake dummies. 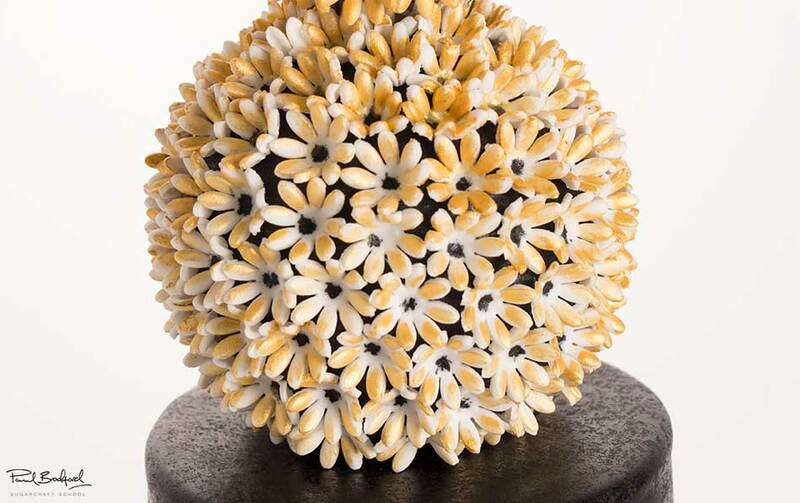 In this lesson, Paul shows us how to cover the awkward small circular dummies in preparation for the mini flowers. 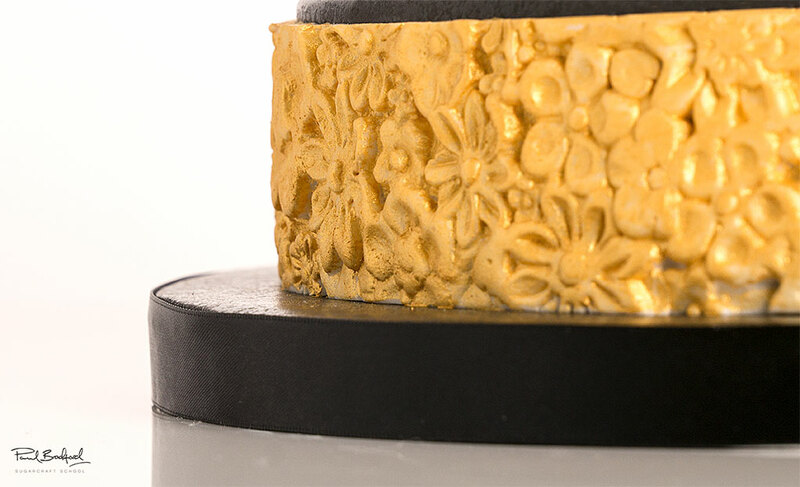 Paul gets busy with various moulds, and shows us some great tips and tricks to make the sugarpaste pop out with ease – every time! 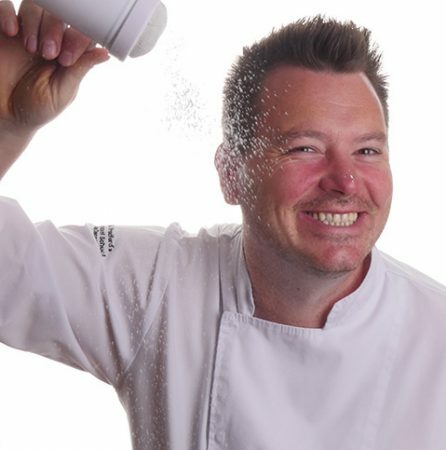 Here Paul gets lots of lovely dusts out, with some high percentage alcohol to help things move along quickly. Paul adds the decorations to the cake and makes the little flowers that will be attached to the balls. 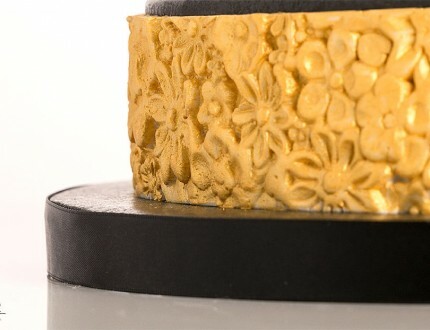 Paul puts it all together and finishes off with gold spray, as well as edible glaze spray, which gives a very interesting and unexpected look. Paul shares some other ideas you can try out during this project. We’re sure you’ve some of your own and we’d love to see what brilliant alterations you’ve made. Here, we’ve carefully selected the key parts from the entire tutorial and condensed it into an 8 min long video. More than enough to get you started without taking too much time. 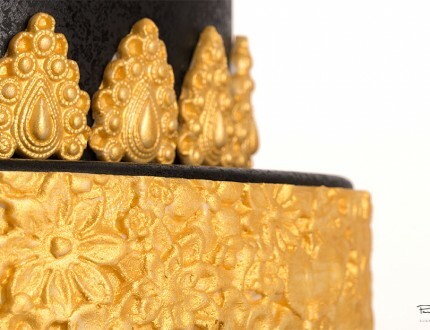 Looking for a wedding cake that feels a little regal? 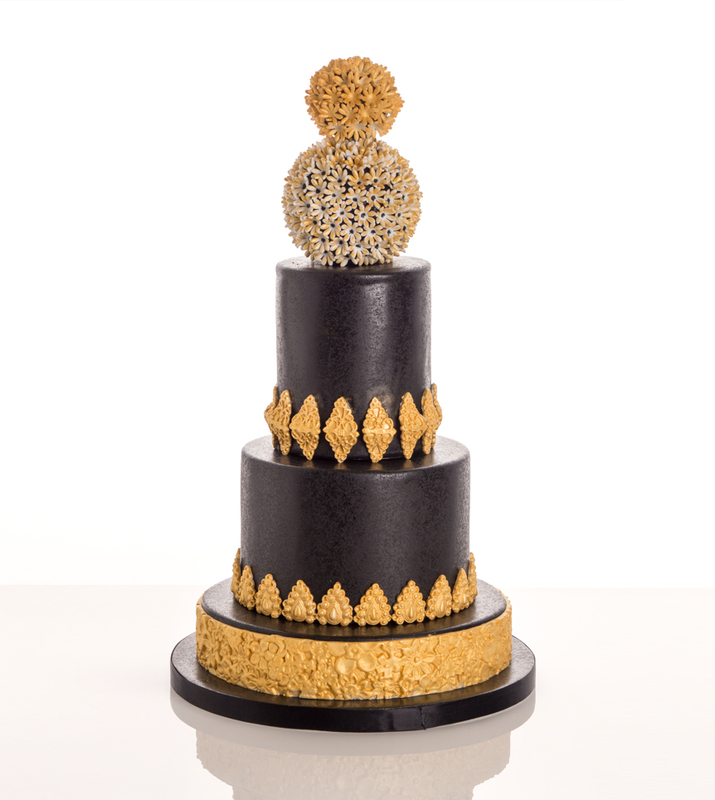 Let Paul introduce you to the striking Black and Gold Opulent Wedding Cake, inspired by the black wedding cake trend. 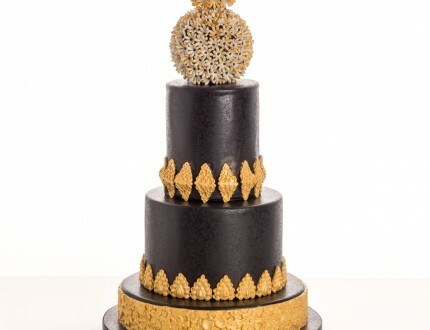 This elegant design would suit a lover of all things bling. 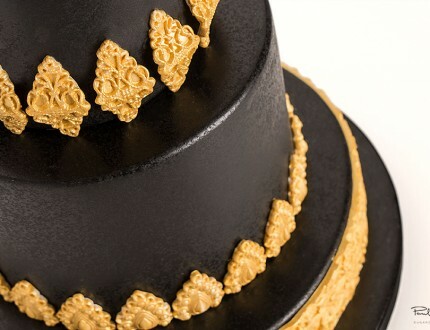 It's an easy and quick cake to make, plus it can be adapted in a variety of ways to suit all sorts of occasion. 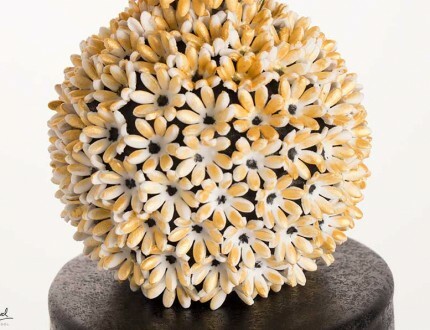 Take a peek at this tutorial to learn how to work with cake moulds, create lovely balls of edible flowers, basic edible paint work and how to create interesting textures. 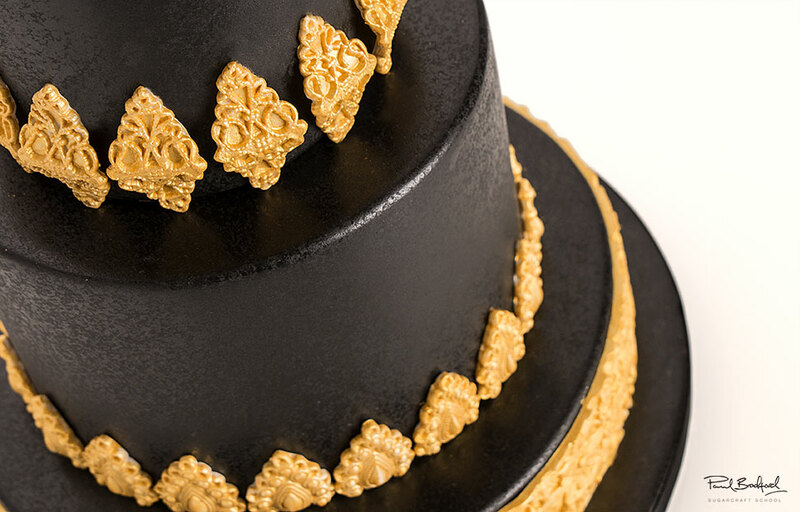 We'd love to see your take on the Black and Gold Opulent Wedding Cake - so make sure you share your snaps with us on our Facebook page.